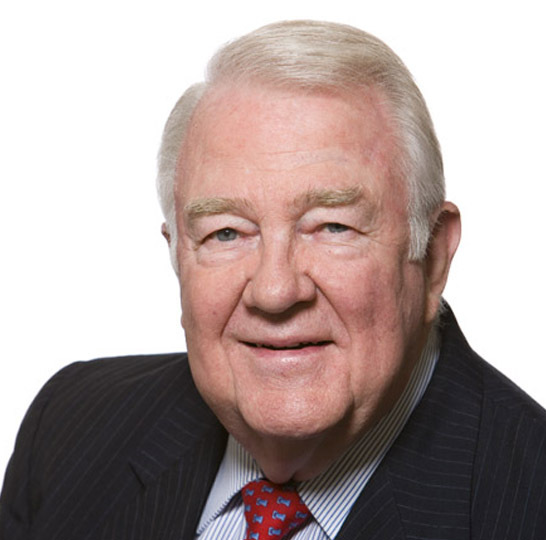 Edwin Meese III holds the Ronald Reagan Chair in Public Policy at The Heritage Foundation, a Washington-based public policy research and education institution. He is also the Chairman of Heritage’s Center for Legal and Judicial Studies and a Distinguished Visiting Fellow at the Hoover Institution, Stanford University, California. In addition, Mr. Meese lectures, writes, and consults throughout the United States on a variety of subjects. Mr. Meese served on the Iraq Study Group and the National War Powers Commission. He is a member of the Critical Incident Analysis Group, an international, interdisciplinary body established to examine and develop lessons learned concerning major threats to public safety and national security. He is also a participant in the Homeland Security Project of the Bipartisan Policy Center. From 1998 to 2004 Mr. Meese was chairman of the governing board of George Mason University. He currently is a board member of numerous civic, legal, and educational organizations, including the Intercollegiate Studies Institute, the Federalist Society, Capital Research Center, Landmark Legal Foundation, Lutheran Family Services of Virginia, and the Trinity Forum. He was also elected a Fellow of the National Academy of Public Administration. Mr. Meese is the author of With Reagan: The Inside Story, which was published by Regnery Gateway in June 1992; co-editor of Making America Safer, published in 1997 by The Heritage Foundation; and co-author of Leadership, Ethics and Policing, published by Prentice Hall in 2004. As the 75th Attorney General of the United States, the Nation’s Chief Law Enforcement Officer (February 1985 to August 1988), he directed the Department of Justice and led international efforts to combat terrorism, drug trafficking and organized crime. In 1985, he received the Government Executive magazine’s annual award for excellence in management. From January 1981 to February 1985, Mr. Meese held the position of Counselor to the President, the senior position on the White House Staff, where he functioned as the President’s Chief policy advisor. As Attorney General and as Counselor, Mr. Meese was a member of the President’s Cabinet and the National Security Council. He served as Chairman of the Domestic Policy Council and of the National Drug Policy Board. Mr. Meese headed the President-elect’s transition effort following the November 1980 election. During the Presidential campaign, he served as Chief of Staff and Senior Issues Advisor for the Reagan-Bush Committee. Formerly, Mr. Meese served as Governor Reagan’s Executive Assistant and Chief of Staff in California from 1969 through 1974 and as Legal Affairs Secretary from 1967 through 1968. Before joining Governor Reagan’s staff in 1967, Mr. Meese served as Deputy District Attorney in Alameda County, California. From 1977 to 1981, Mr. Meese was a professor of Law at the University of San Diego, where he also was Director of the Center for Criminal Justice Policy and Management. Mr. Meese is a graduate of Yale University, Class of 1953, and holds a law degree from the University of California at Berkeley. He is a retired Colonel in the United States Army Reserve. Mr. Meese is married, has two grown children and resides in McLean, Virginia.